Sun in Pisces’ focus on transcending the mundane world complements Moon in Virgo’s need to perfect the mundane world. Although each views reality from a different angle, both of these signs want something exceptional. Together, they can have it. Sun in Pisces knows there’s more to life than the daily grind. The most sensitive of all the signs, he understands that there is a higher purpose that lies just out of reach. He may approach this through creative work, empathy for others or (if he’s wallowing in his Shadow side) escapism and avoidance. Depending on how he manifests this awareness, he can be a profoundly romantic or irresponsible partner (or sometimes a blend of both). But even when Sun in Pisces is functioning in the real world, his lover should know that he’ll always be slightly removed from practical routine. Moon in Virgo feels satisfied when she’s taking care of business. She needs concrete issues to tackle and improve, which (if taken too far) can give her partner the impression that she’s never happy. The truth is that Moon in Virgo is happiest when she’s making things better — this is how she cares for her lover. She’ll also ensure that the home they share is run according to her specifications. Her partner should accept that she’ll have a very precise way of doing things, and it’s probably easier for him to stay out of her way rather than attempt to meddle in her routine. 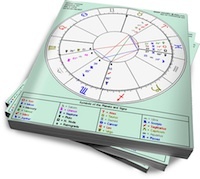 Sun in Pisces will frustrate Virgo with his free-flowing attitude. Moon in Virgo will attempt to plan their schedule for the next year, and Pisces will simply not care. He’ll have other things to worry about, like his art. This can be beneficial for Virgo, because Pisces will show her that certain things cannot be controlled, no matter how much she fusses. But Virgo can provide a firm foundation for Pisces by ensuring that he accepts some of his responsibilities (even he needs to do his taxes). These two are experts in seeing the highest potential of their respective realms. With a mutual agreement on which areas of the relationship each is responsible for, they can have the best of both (real and transcendent) worlds.